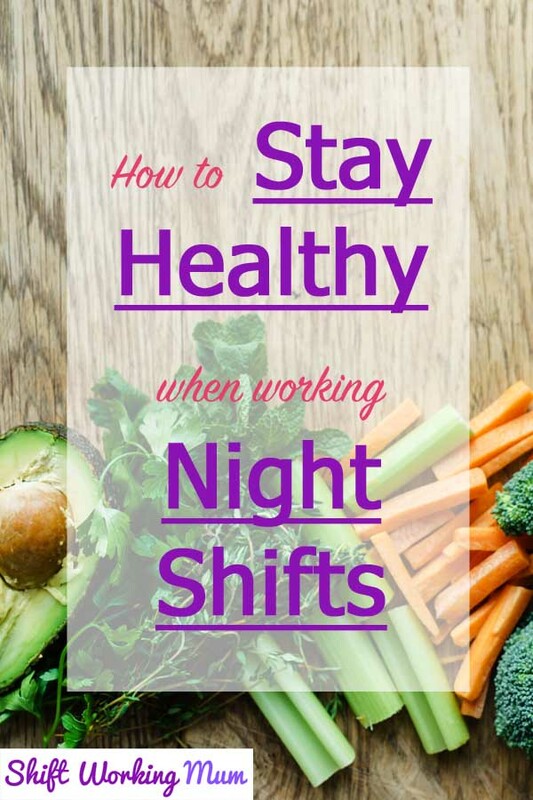 When we work night shifts, our body’s natural circadian rhythm is disrupted and out of sync. Our circadian ryhthm is governed by the amount of light our eyes recieve. When the light reduces at night our brain releases melatonin that signals the body to fall asleep. In the morning the light becomes brighter and our brains release cortisol to wake us up. As the circadian rhythm regulates hormone release, disruption can cause health problems such as weight gain. Therefore it is important to try to remain healthy when working night shifts. As a doctor in the Emergency Department I do a variety of shifts and regularly switch from nights, to twilights (4pm-2am), to days. Get as much restful sleep as possible. Recreate a night-time atmosphere where possible with blackout blinds and curtains, an eyemask and earplugs. Having a good sleep schedule is very important. Exercise when you can. Exercise is proven to help you get better sleep. When at work try not to sit for long periods. Regularly get up and have a walk, do some stretching or squats. Climb the stairs rather than taking the lift. Having regular exercise throughout the night will help to keep you alert and will also help you to sleep better once you get to bed. Have plenty of healthy snacks with you. Snack every few hours rather than having a ‘big meal’. A large meal will sit heavy on your stomach and make you feel groggy. Digestion slows at night so eating too much can contribute to weight gain. Eat every few hours to keep your metabolism going. Making sure you don’t have sugary snacks as these will give you a sugar high and then slump, which you don’t need at 3 am when you are already tired. 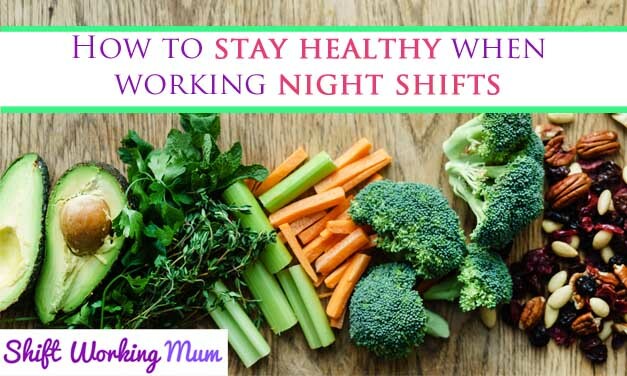 Preparation is key when you are wanting to stay heathly when working nights. You don’t want to be finishing work and then having to cook for yourself and your family. Invest in a slow cooker it will save you a lot of time. Try to eat three meals a day as you would if you were working days. Have a good healthy breakfast when you get home from the shift, lunch when you wake and then have dinner before you go out again to work. Overnight stick to healthy protein snacks. If you stick to a schedule you get your body into a routine and it makes the transition between shifts easier. You may think that you should stock up on caffeine to stay alert whilst working nights. You would be very wrong. Limit coffee intake to 1-2 cups and make sure only to drink it in the first part of your shift. I recommend no caffeine in the last 4-5 hours of your shift. Caffeine takes time to clear from the body and doing this will ensure you get good sleep post-shift. Avoid unhealthy energy drinks. Many of them contain high amounts of sugar.